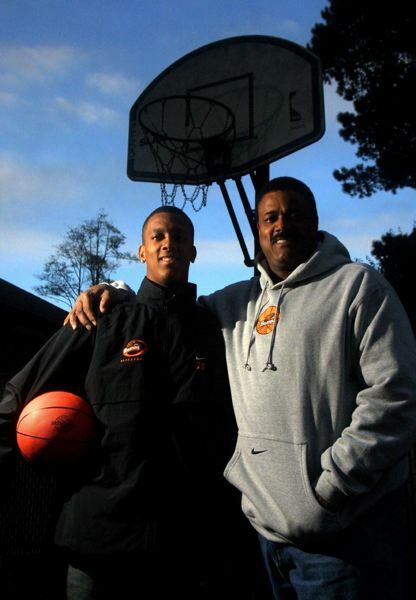 When Maurice Lucas walked into the room on that fall day of 2009, he was beaming. He thought he had made a successful recovery from bladder cancer surgery the previous April, and he appeared eager to have others share his excitement. The occasion was a preseason indoctrination session for players and coaches conducted by the NBA and the Trail Blazers, and it was suggested that Lucas, the feisty power forward on Portland's championship team of 1977, looked healthy enough to play some hoops. "I'm not quite ready for that, but I feel great," he said. "What really excites me is that I'm ready to go back to work (as an assistant coach to then-Blazers coach Nate McMillan)." That scene came to mind for me again this year as Halloween approached. It has been that way for me ever since Lucas died on Halloween 2010. While others are consumed with pumpkins, spooky outfits and trick-or-treat moments, I enjoy recalling the exciting days when, as the Blazers' beat writer for The Oregonian, I got to know Lucas well. Anyway, before that 2009 meeting, Lucas smiled and, with only mild urging, willingly talked about some of his experiences during the 1977 playoffs. He seemed to particularly relish discussing his charmed ability to avoid a suspension. "I guess I was just one lucky guy," he said, rolling his eyes. It began in the best-of-three opening series against the Chicago Bulls. Game 1 was in Portland's Memorial Coliseum and, because of a lingering strike of NBA referees, it was worked by replacement officials Mike Eggers and Paul Wilson. They were much less lenient with their calls than either the Blazers or Bulls were accustomed. With 9:36 remaining and Portland leading 75-70, Lucas was hit with a technical foul by Eggers for protesting a call. He lost his cool, swiping Eggers' whistle from his mouth. Incredibly, he got away with it. No further penalty was assessed, and the Blazers went on to a 96-83 win with Lucas scoring 29 points on 14-of-17 shooting. Irate Chicago coach Ed Badger said: "Lucas should have been thrown out of the game for that (whistle incident). He should have been gone." Lucas admitted that he was "very fortunate" to be around for the finish. Then he grinned and added, "Let me tell you a story about that. Years later, I was watching one of my sons play in a youth league. After the game, the referee came over and said, 'Do you remember me?' I was stumped. Well, it was Mike Eggers. We had a nice visit and shared some laughs about what had happened between us." Frequently called "The Enforcer," the 6-9 Lucas built on that reputation in the next game against the Bulls in packed Chicago Stadium. Play was extremely physical and, shortly before halftime, Portland's Herm Gilliam and Chicago's Wilbur Holland got into a skirmish of wild swings of fists and a kick by Gilliam. Lucas came running and decked two Bulls' fans who were trying to get in on the action. Then he put a hand in the face of Chicago assistant coach Gene Tormohlen, who had a headlock on Gilliam, and pushed him back toward the Bulls' bench. Gilliam was assessed a flagrant technical foul and ejected. Lucas got off with what was listed as a "punching foul" and was allowed to remain in the game. The Blazers eventually lost, 107-104, before returning home to win Game 3 and the series, 106-98. "I can't deny that I was lucky not to get the boot in that game in Chicago, too," said Lucas, who led the Blazers in scoring both in the regular season (20.2 points per game) and in the playoffs (21.2). Finally, there was his fight with Darryl Dawkins of the Philadelphia 76ers late in the second game of the NBA Finals at the Spectrum in Philadelphia, a game won easily by the 76ers, 107-89. It broke out after Dawkins threw the Blazers' Bob Gross to the floor after a rebound scramble and reacted to Gross' protests by going after him. A charging Lucas landed a roundhouse right to the back of Dawkins' head and the two squared off and threw punches that mostly missed their targets before they were restrained. Once the fans had been chased from the court and order restored, Lucas and Dawkins were ejected. The following day, NBA Commissioner Larry O'Brien fined Lucas and Dawkins $2,500 each, the largest monetary fines in league history at the time. But, again, no suspensions. "The way it is set up today, I would have been toast for that one," a grinning Lucas said. "The suspension would have been a long one — really long." Instead, Lucas had a huge role as Portland won the next four games and the championship. Among his contributions was a pregame handshake with Dawkins before Game 3 in the coliseum. "I just went down to their bench to let him know that we were cool," he said. "No words were spoken." Sadly, it wasn't long after that jovial day in 2009 that Lucas' cancer returned. "The Enforcer" finally had encountered an opponent he couldn't intimidate. He was 58 when he died. At his memorial service before about 2,500 people in Memorial Coliseum, Lucas' Portland coach, Jack Ramsay, said: "He was the strength and heart of our championship team." Ramsay also described his first conversation with Lucas after he was hired as Blazers coach. "I told Luke I was concerned that Portland had a reputation as a soft team," Ramsay recalled. "I said, 'I would like you to be our tough guy, to have the other players' backs.' As I laid out my plan, his smile got wider and there was a twinkle in his eyes. He said, 'I can do that.' And he did a very good job at it." A "very good job" probably was an understatement. Bob Robinson, who retired in 1999 after a 37 1/2-year career at The Oregonian, was the beat writer covering the Trail Blazers during the 1976-77 championship season. He also was author of the book "World Champions," a diary of his experiences that season.